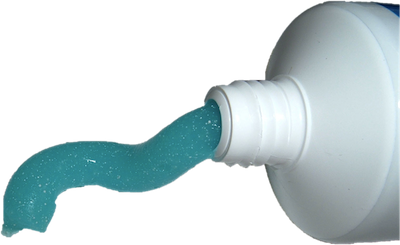 Take your average tube of toothpaste and you will see that it is jam-packed with potential. Potential to keep those pearly whites of yours from becoming deep black cavities and your gorgeous gums from becoming a bleeding mess! There on the back is displayed a list of all the good stuff it contains with instructions as to the best way to use it. Yes indeed, your average tube of toothpaste has the potential to make your visits to the dentist a genuine journey of joy, rather than a torturous trip of terror. However, if all you ever do is leave the cap of that toothpaste tube firmly shut, and the tube itself languishing at the back of your bathroom cabinet, then all that potential goes to waste. Potential has to be used for it to produce anything good. And it has to be used regularly, not just a one-off. You need to open that toothpaste top, release all that toothpaste potential on to a toothbrush and ‘brosses les dents’ at least twice a day in order to receive its benefits and unlock all that potential. More importantly, you are packed with potential to do much good: ‘We are … created … to do good works’ (Eph. 2:10). So no more hiding that potential away. What now? Clean your teeth! As it says in 2 Timothy 1:7 “For God hath not given us the spirit of fear; but of power, and of love, and of a sound mind.” Let your potential self run free today: find an opportunity to demonstrate love, or to choose to be self-disciplined.